North Korea is perhaps one of the most sanctioned and isolated countries of the world. With the exception of China, who is North Korea's top ally and trading partner and who also supplies the impoverished country with crucial economic and humanitarian assistance, there are not many friends for this country. Acting under a perennial fear psychosis, that US, Japan and South Korea have made it their highest national goal, to obliterate it from map of the world, it has developed a range of rockets that can hit targets from few hundred to few thousands of Kilometers and has been making efforts to develop atomic war heads for its rockets. In continuation of it's efforts in this direction, North Korea conducted its third nuclear test on February 12, despite warnings from the international community. It has also been in forefront in the illegal trade to supply missile parts and designs to some other rogue countries. I however found reactions from Chinese netizens published on the web, far more representative of what ordinary Chinese think of this test. Sina Weibo, a Twitter-like service in China, was full of caustic comments, critical of North Korea and some netizens even compared North Korea to a canine. Here are some excerpts. Another user, does not agree with this comment and says, “Not so, North Korea simply doesn't trust China and is not willing to be inhibited by China." Zhuanshengben, another Weibo user ridicules Chinese policy and says, "For China alone to emphasize China and North Korea's so-called friendship, this is the ultimate stupidity." I found this cartoon on the web at PareshNath@cagleblog.com, which summarizes Chinese reaction very aptly. According to new reports from Bejing, Chinese Government is hard put trying to allay fears of people about possible radiation threat from across the border as the test site is only about 100km away from the border and tries to reassure the public that their country is safe from nuclear contamination. A statement by the environment ministry on China Central Television on 14th February 2013 morning says,"North Korea's nuclear test has not affected China's environment or public health. " Ministry's web site assures that readings from 25 monitoring stations, on and near the border, were at normal levels at 10:00 local time on 13th February 2013. The official Chinese reaction is however much more guarded even when it recognizes the potentially dangerous situation. A latest report on BBC website, gives more details and I quote. Peng Guangqian of the Chinese Academy of Military Science in an interview with Xinhua, calls the nuclear test "regrettable" and "unwise", but reminds the international community, especially the US, to exercise restraint and take full account of North Korea's security concerns. Yu Sui, professor at the China Centre for Contemporary World Studies, dismisses North Korea's test as "half helplessness and half bluff" meant at raising its "bargaining price", but also lays the responsibility on the US to sort out the crisis. 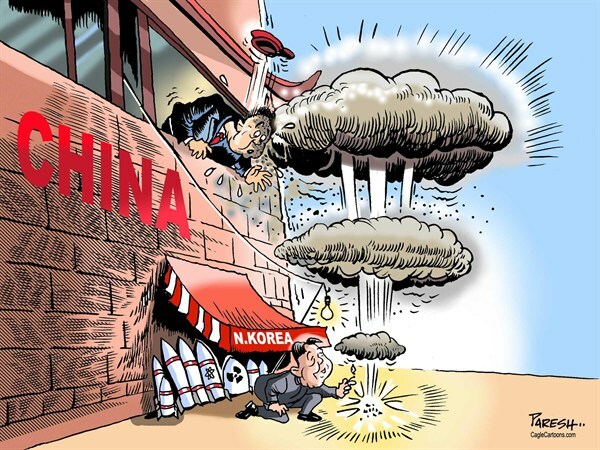 Wang Fan, an expert on Korean studies at the China Foreign Affairs University, is worried in his interview with China Daily that the US and its allies, Japan and South Korea, may exploit Pyongyang's nuclear test as an excuse for a military build-up in the region. I find this change in Chinese attitude, hugely interesting. They are in real quandary and just do not know, how to react to the situation as is clearly seen from the reactions. 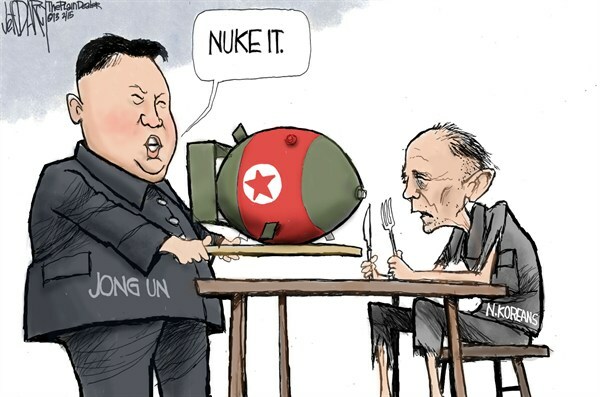 It would be interesting to see, how they would finally respond in security council, if United nations security council decides to back US-led air strikes on North Korea.